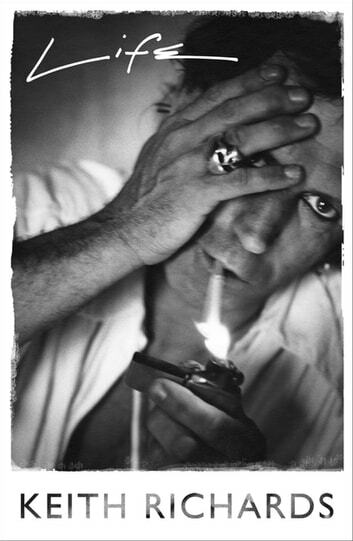 With the Rolling Stones, Keith Richards created the riffs, the lyrics and the songs that roused the world, and over four decades he lived the original rock and roll life: taking the chances he wanted, speaking his mind, and making it all work in a way that no one before him had ever done. Now, at last, the man himself tells us the story of life in the crossfire hurricane. And what a life. Listening obsessively to Chuck Berry and Muddy Waters records as a child in post-war Kent. Learning guitar and forming a band with Mick Jagger and Brian Jones. The Rolling Stones' first fame and success as a bad-boy band. The notorious Redlands drug bust and subsequent series of confrontations with a nervous establishment that led to his enduring image as outlaw and folk hero. Creating immortal riffs such as the ones in 'Jumping Jack Flash' and 'Street Fighting Man' and 'Honky Tonk Women'. Falling in love with Anita Pallenberg and the death of Brian Jones. Tax exile in France, wildfire tours of the US, 'Exile on Main Street' and 'Some Girls'. Ever increasing fame, isolation and addiction. Falling in love with Patti Hansen. Estrangement from Mick Jagger and subsequent reconciliation. Solo albums and performances with his band the Xpensive Winos. Marriage, family and the road that goes on for ever. In a voice that is uniquely and intimately his own, with the disarming honesty that has always been his trademark, Keith Richards brings us the essential life story of our times. Fascinating from start to finish!